Our trip begins with our good friends who have a second home in Pensacola, Florida. Their home sits beautifully on the bayou. Our friends hosted a dinner for is and a few other couples. Fish was the entree for the evening. Our host suggested Paul and I visit the local fish market. 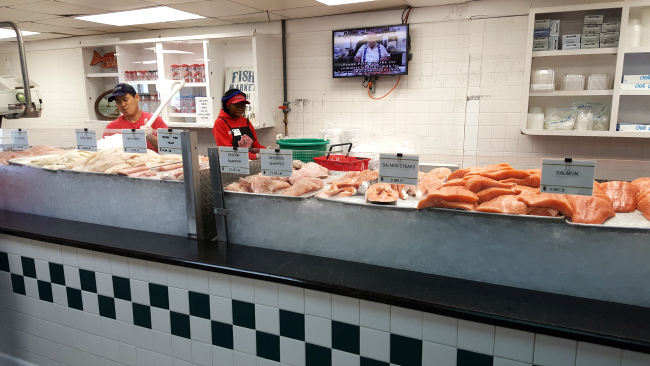 Here's the local fish market in Pensacola. You can find almost any seafood here. Notice the black and white check. 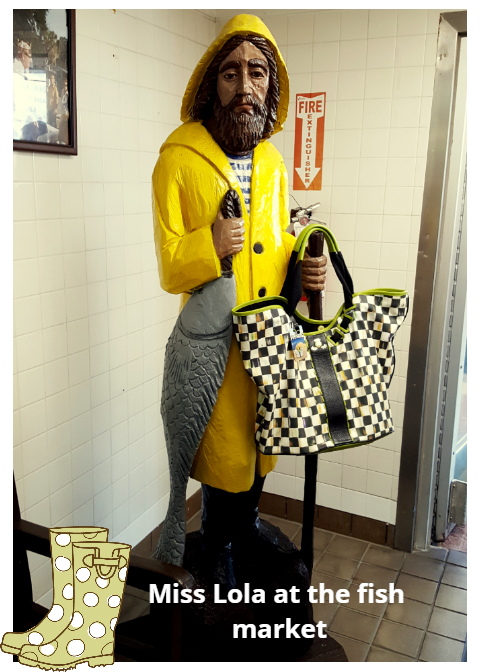 Miss Lola's style fits right in with the fish market. 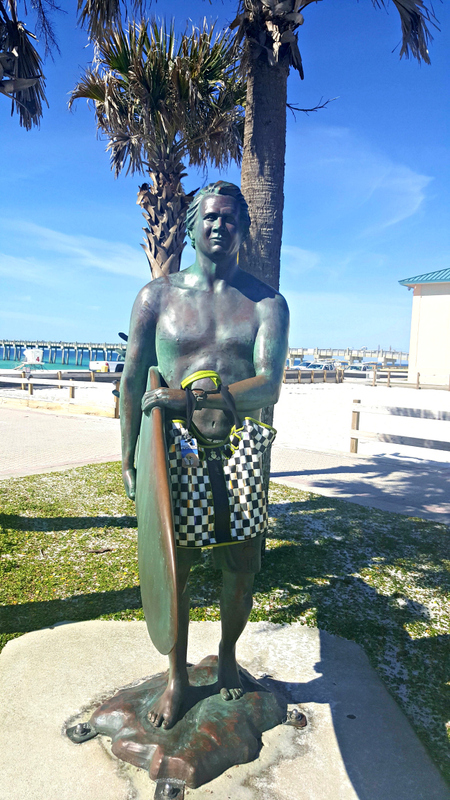 This surfer dude was way too cute to pass up a photo op with Miss Lola. Miss Lola insisted on a photo with Elvis. Thank you very much! Miss Lola and I at LolaNola. 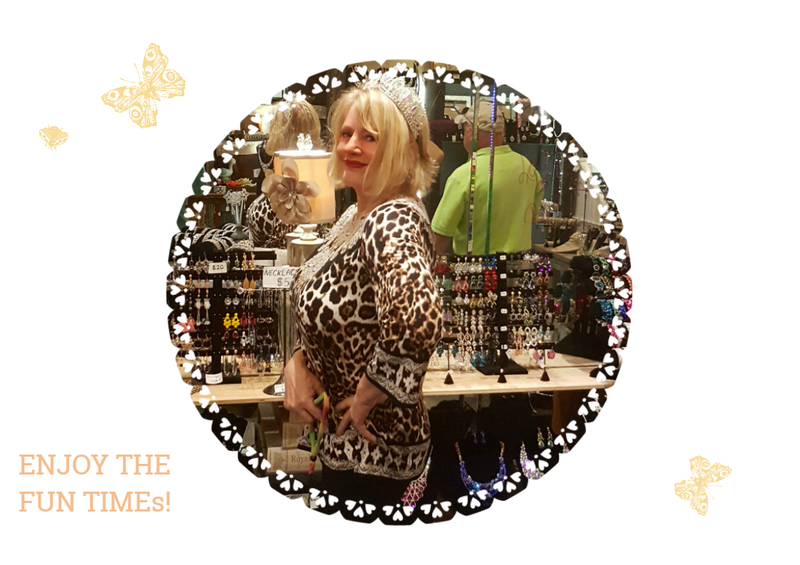 My husband took a photo of me trying out a tiara at the LolaNola store. 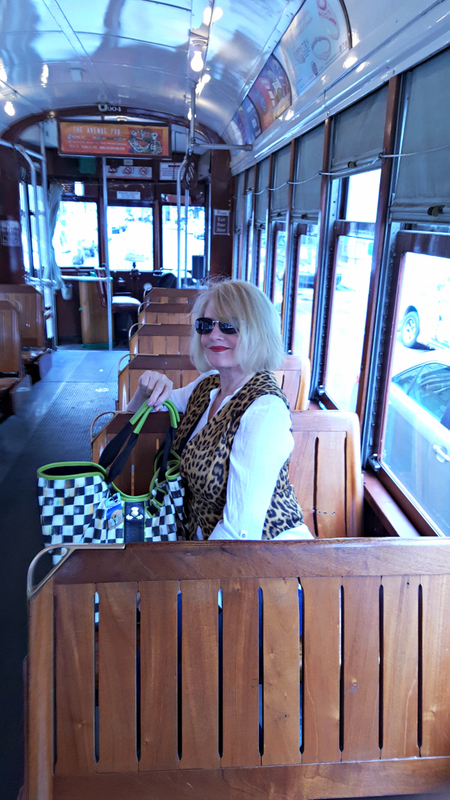 Me boarding the cable car. These top photos were me dancing in the streets with the musicians. Local musicians can be found playing in some of the closed off streets. Click the link to get the recipe. 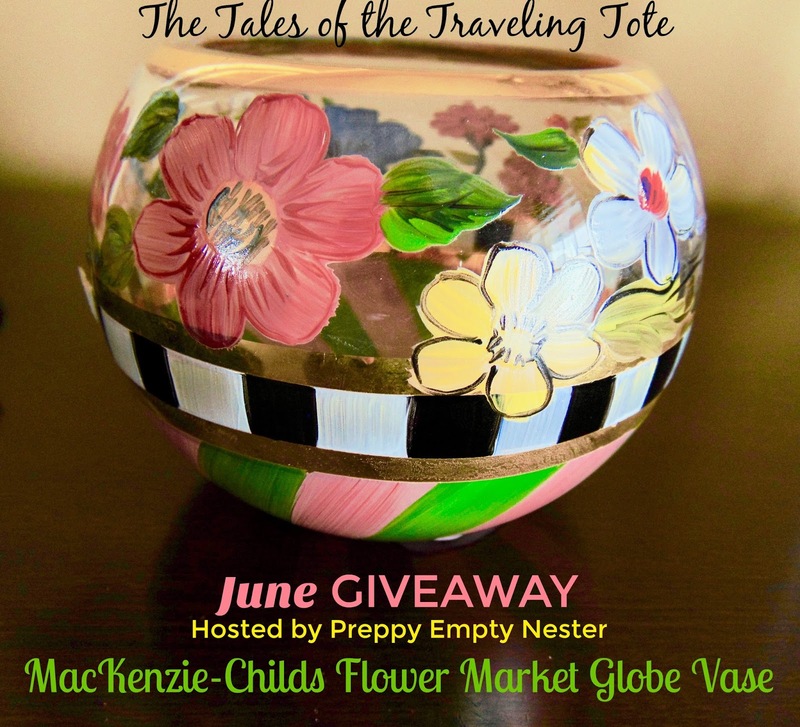 To enter the drawing for the giveaway, please visit Katie and Miss Daisy Preppy Empty Nester and leave a comment. I hope you visit the other gals that belong to this fun Traveling Tote group. Looks like Miss Lola had lots of fun on this trip! Dancing and getting her picture taken with those hunks! And she became somewhat sassy showing off her rack to gets some beads! Lol! So very cute and adorable, Linda! Love seeing your wonderful pictures! Lola sure does get around! My fave photo, of course, is of Miss Lola and her rack getting beaded, LOL! And I must say that is a wonderful photo of you inside the cable car. I am still chuckling from Miss Lola showing her rack for some beads. I always wonder where someone like you, whose home is a resort in itself, goes on vacation. Love you in a tiara. What a gorgeous spot the Florida house has. I will be dreaming about that creole bread pudding for the next week. Have a wonderful weekend, dear Linda. 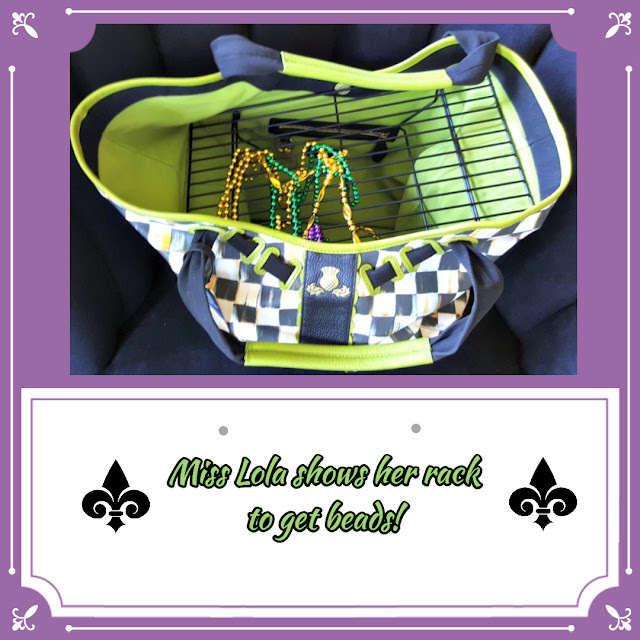 What fun trips you and Miss Lola have been on! I can taste that marvelous bread pudding! What a fun giveaway, Linda! Have a wonderful weekend! Oh, my! You and Miss Lola had a fabulous getaway. Miss Merri Mac is envious and says we need to get back to NOLA and a trip to the beach is in order too. You look fabulous in a tiara. Hope you took it home! 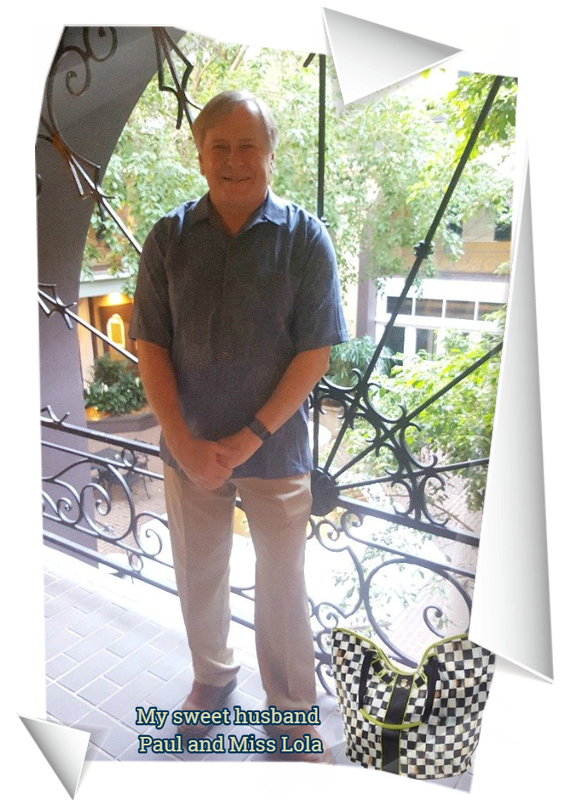 Thanks for sharing the photos of this fun trip. How fun, Linda! I love that you got in there and danced! 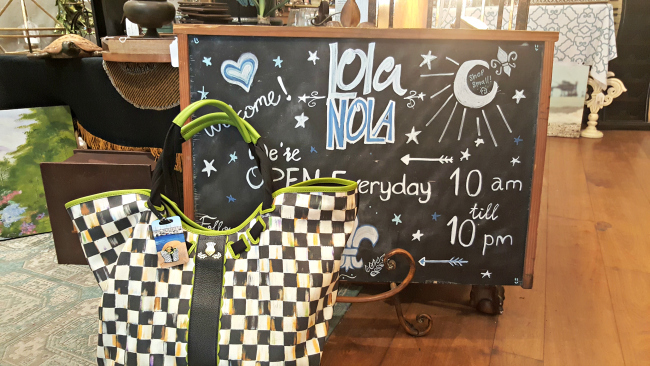 And Miss Lola at Lola NOLA? What could he more perfect?! Weve been to Pensacola, but not NOLA. Its a trip id likw to make somwtime, but definitely not during Mardi Gras. Live Lola's rack, lol. Great adventures, thanks for sharing! Enjoyed your post, it looks like a great time was had by all. Lola is coming across as a little bit of a man eater! Loved all of her poses with the men and her beads! Of course you would get out and dance in the streets - you are too fun not to. 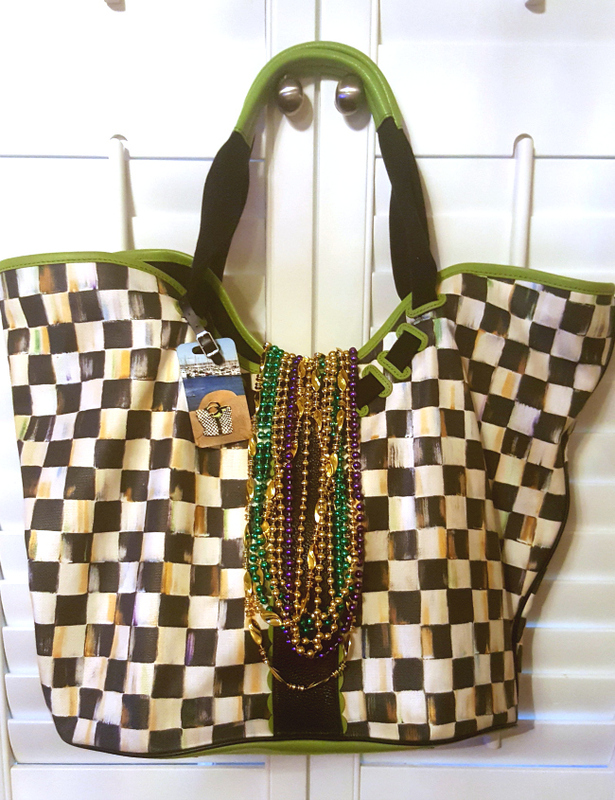 Looks like a fabulous time from the beach to New Orleans! 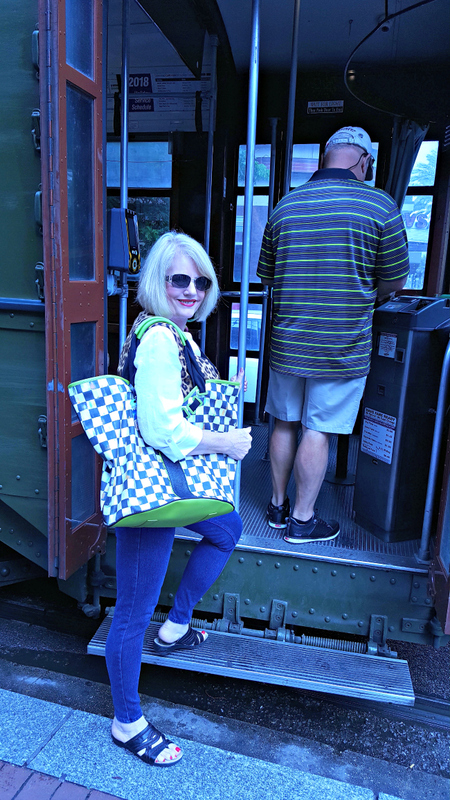 I love seeing the journey of the traveling tote. 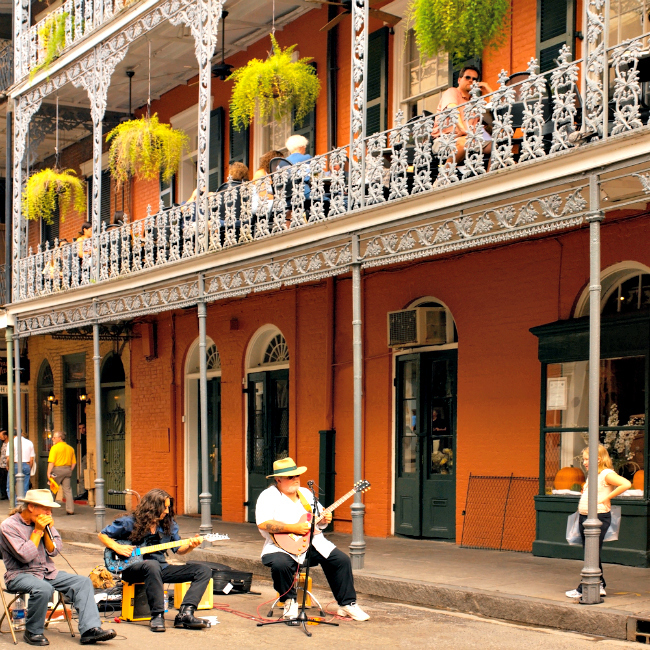 I would love to visit New Orleans! Miss Lola got to be with some real handsome guys on this trip. Looks like it was a fun trip for all of you. Happy Friday Linda. Linda, this place is stunning! Well, I'd say you and Lola got quite the taste of New Orleans, beads and bread pudding. 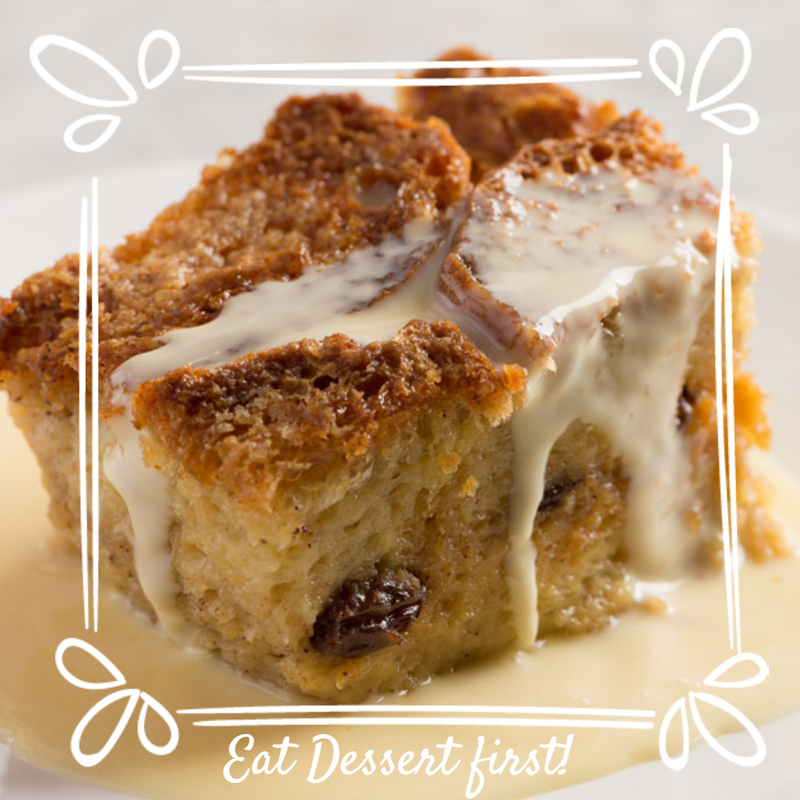 Oh, my, that bread pudding is some of the best in the world. So glad you got to visit our fair state. 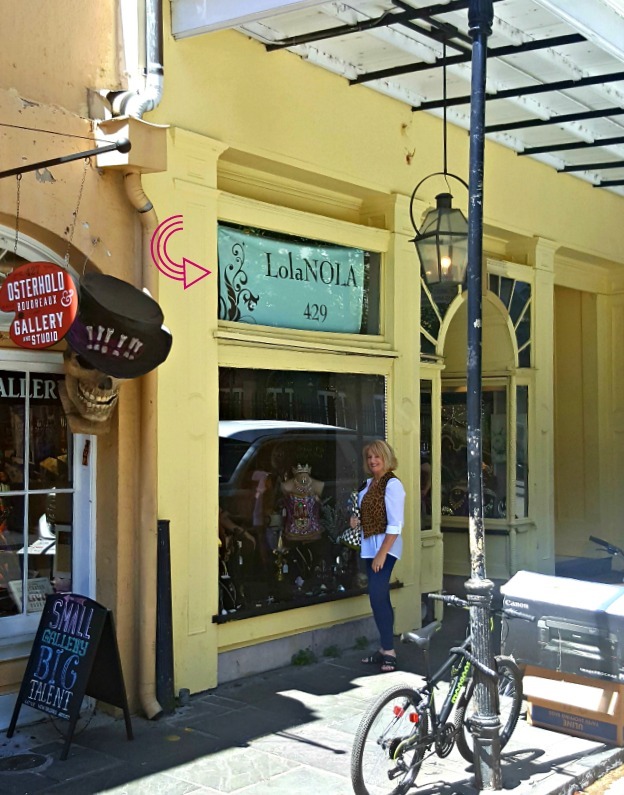 It looks like you did it up right in NOLA Linda, look at you dancing in the street!! And so glad the weather in P'cola was so nice...it still makes me sad I wasn't able to meet up with you, I hope you'll come back to the South again soon! 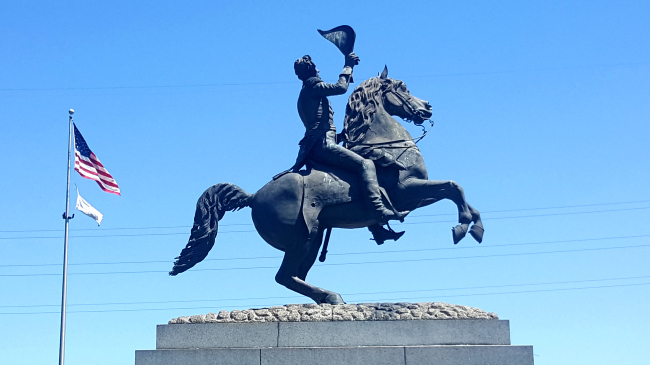 Great pics of your travels!! I love that you "danced in the streets" with Miss Lola!! You gotta enjoy every moment while traveling!! 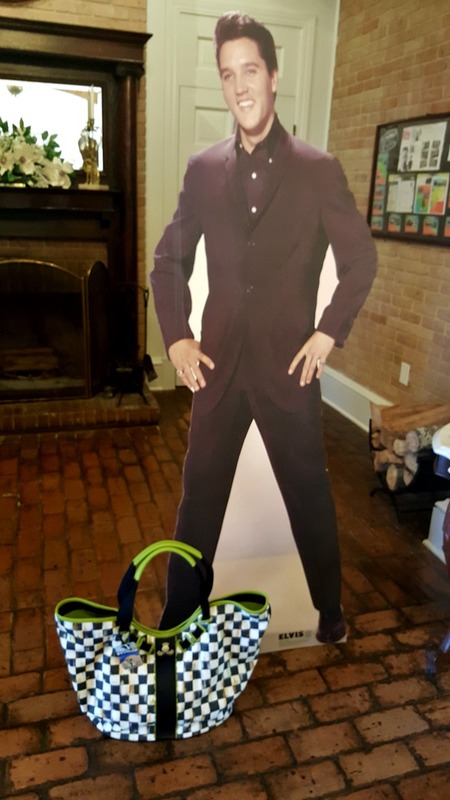 Loved the Elvis pic, too! Lola has a pretty good "rack" and a ice set of beads!! It was fun traveling along with you! 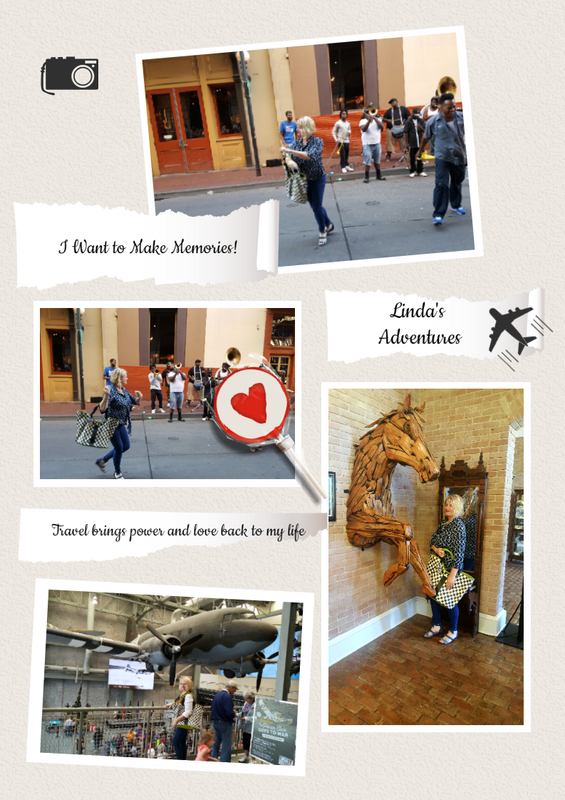 What fun you and Miss Lola had in Florida and in New Orleans, Linda! I love that you got out in the street to dance and have fun. The pic of you and Miss Lola at LolaNola was too cute. I love bread pudding and I'll have to check out the recipe. Thanks for letting me tour along with you on your adventures. 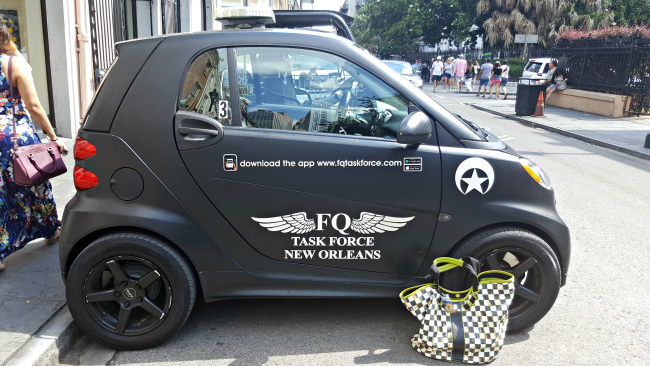 Happy you enjoyed your trip to New Orleans. I loved seeing all your photos! 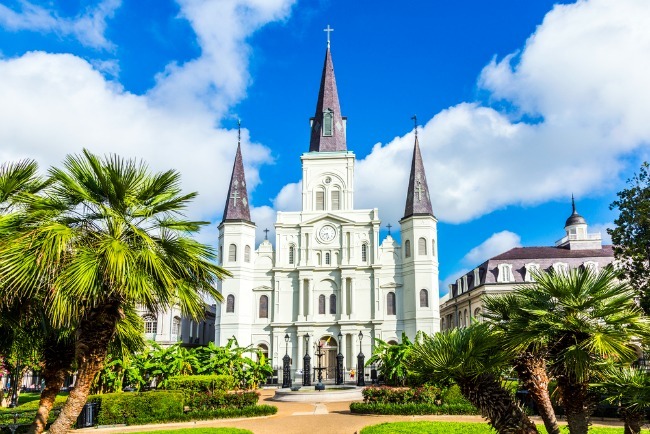 Trip is from NO, and we lived on St. Charles Avenue (where the streetcars run in the neutral ground) when we were first married. We visit often because his SIL still lives there. Thanks for being such a great blog friend and helper. You are so kind, and I'm so happy you're a part of this group!